This year my birthday is on the weekend so to celebrate my husband treated me to a day in Gatlinburg for the first part of the weekend. 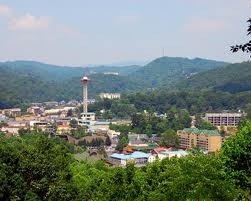 We love Gatlinburg. It’s about 50 miles from Morristown, easily driven in about an hour unless you get caught up in traffic on the Sevierville/Pigeon Forge end. One way to go is from Newport off of I-40 with a stop off at Wal-Mart to top off that gas tank and pick up any snacks you might need! While it is the quintessential tourist-trap, there are some neat little nooks to check out. Whether you want to shop, eat, see the sights or just people watch, there is plenty to do! 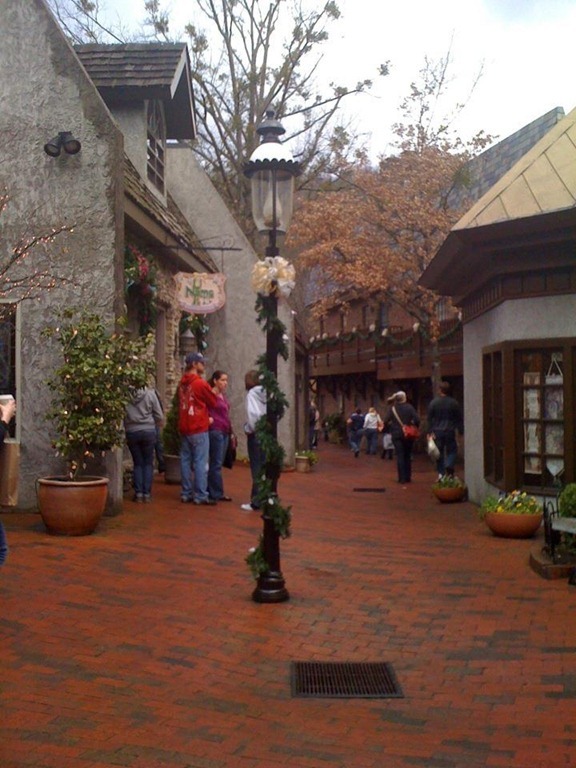 For one, I think that Gatlinburg is a place chockfull of delightful places. There are so many great little mom and pop places to shop and dine at as well as many of the easily recognized chain restaurants, if that is what you’re looking for. One of our most favorite places to eat is Best Italian. We usually go to the original location near the National Park entrance because you can get patio seating there. There is nothing like sitting down next to a bubbly creek and having your dinner in the shade. 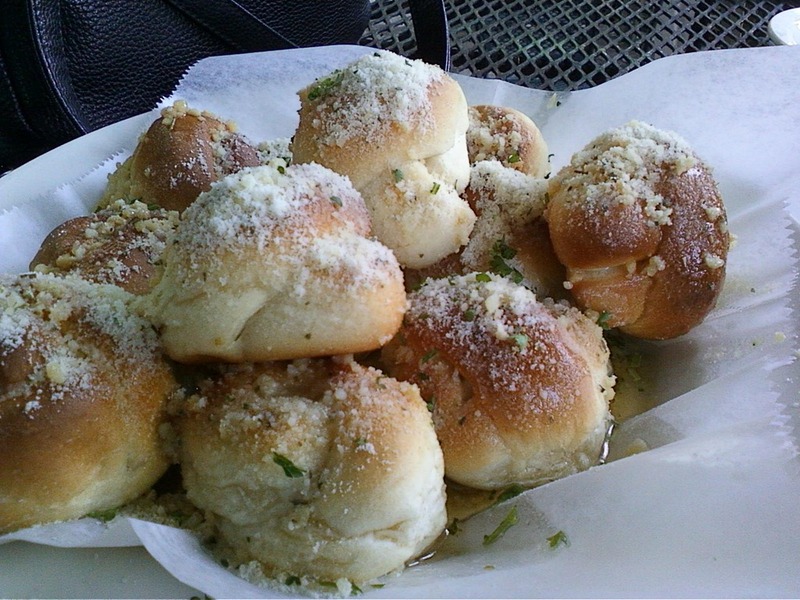 Our favorite is the spinach pizza and they have the most sinful garlic rolls that are just to die for! If you’ve not eaten there before, it’s a great place to stop! 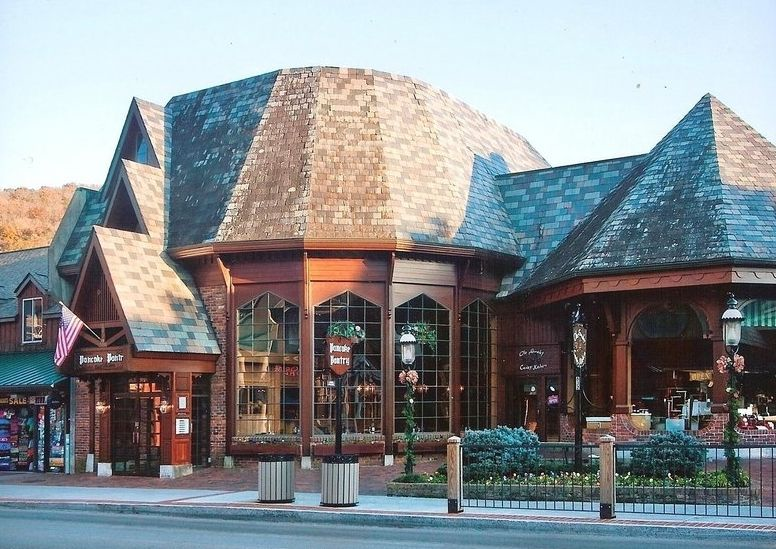 You can see more of their menu at Best Italian – Gatlinburg. They have an extensive menu of the usual pasta favorites, entrees and a wide range of appetizers and salads. But don’t forget dessert! Don’t be surprised if you have to wait a little for this wonderful food, because once you’ve been there, you’ll understand exactly why it’s such a popular place! And for those who enjoy a glass of wine or other drink with their meal, Best Italian offers teas, sodas and drinks from the bar. Their claim to fame? Everything is made from scratch and they use real butter and fresh whipped cream. Since I make most of my dishes from scratch at home, this is what I really look for. The taste is so different and so wonderful that you’ll want to return again and again! Once inside, the warm atmosphere of days gone by welcomes you. Surrounded by rich oak, rustic copper and century-old brick, you’ll immediately feel at home. Cozy table settings and friendly staff make this a great place to bring the family as well. And the best part of all, it’s easy on the wallet! Check out this great place the next time you’re there! We love going to this section of the Strip, because it’s where The Village sits. There are several little shops and eateries tucked into the mountain side creating a look much like the one found in story books. 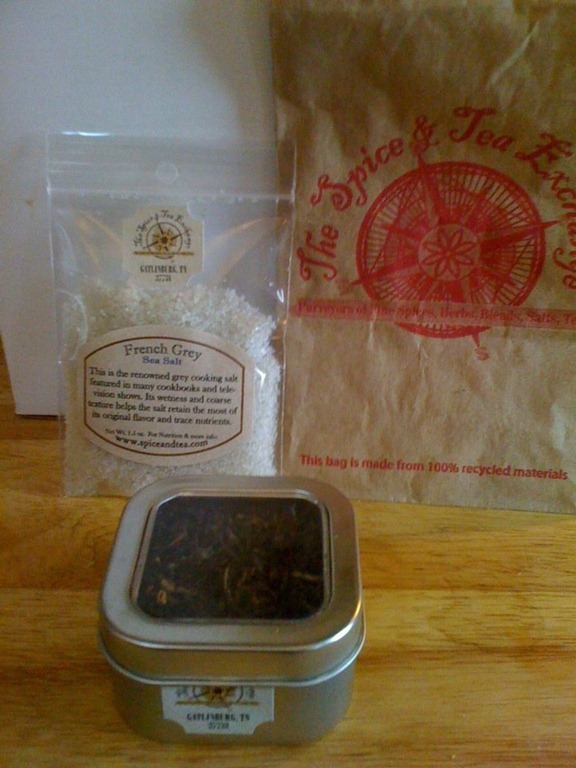 There are shops for souvenirs and gifts, a Thomas Kinkade gallery shop, the Cheese Cupboard & it’s restaurant, a toy shop, a coffee shop and one that I’m particularly delighted with, The Spice & Tea Exchange of Gatlinburg. Their invitation to come in and “smell the spices” is an invitation that this home-grown cook could not resist! This shop is tucked into a little corner on the back side of The Village and walking into it was like walking through a dream. Jars lined the walls filled with hand-blended spices, teas and salts! It was spice heaven for me! These are gourmet rubs, salts, sugars and herb blends to create dishes like never before! I couldn’t leave without trying something, so I spent some time debating which of the sea salts I wanted to try or should I get a tea or seasoning rub? In the end my love of teas won and I chose a delightful tin of International Breakfast Tea. It is a loose leaf black tea with chocolate undertones to it. And after smelling and letting my mind go wild with what I could create in the kitchen, I chose the French Grey Sea Salt. This is one that you’ve heard chefs, cooks and other culinary experts talk about! I cannot wait to try it! Like I said earlier this weekend is my birthday weekend. This little day trip was a gift from my husband to celebrate my special day! Since we did not do any birthday cake and had decided we didn’t want to buy one then have so much of it sitting around enticing us to eat it the rest of the week, we went to another one of our favorite stops in The Village: The Donut Friar. Freshly made and in smaller quantities, these wonderful donuts have that melt-in-your-mouth goodness. Now since we’ve been cutting back on our sugar intake it was a bit of a sugar shock but let there be no doubt, every bit of it was enjoyed! They have cake donuts, éclairs, filled pastries, and several other types of yeast, glazed and filled donuts. As you can imagine, this donut shop is quite busy no matter when you stop by! But the great news is that you can just buy one, enjoy it and not worry about having more around to tempt you! Then next time you’re in Gatlinburg, stop by and get another! Despite the rainy day, we had a load of fun and can’t wait to spend more time over there again. And we have a couple more places to take some very special friends the next time they are here visiting us! Happy New Year Week! May the rest of your year be as wonderful as the first day of my “new year” was!